dance-tech.tv presents a selection of Piezas Distinguidas by La Ribot (Spain/Switzerland). They are part of what she calls DISTINGUISHED PROJECT which has spanned form more than 20years. The are characterized by their brevity and metaphorical encapsulation questioning "the temporal, spatial, and conceptual limits of dance." Israel Galván conversa con Marlon Barrios Solano, sobre SOLO. Danza emancipada de la musica separada del bailaor. Performance y entrevista dentro del marco de la programacion artistica del mov_s 2012 y Cadiz en Danza 2012. In Bleu.Remix, the artist once more lets us experience an intimate journey through the corners of his body. 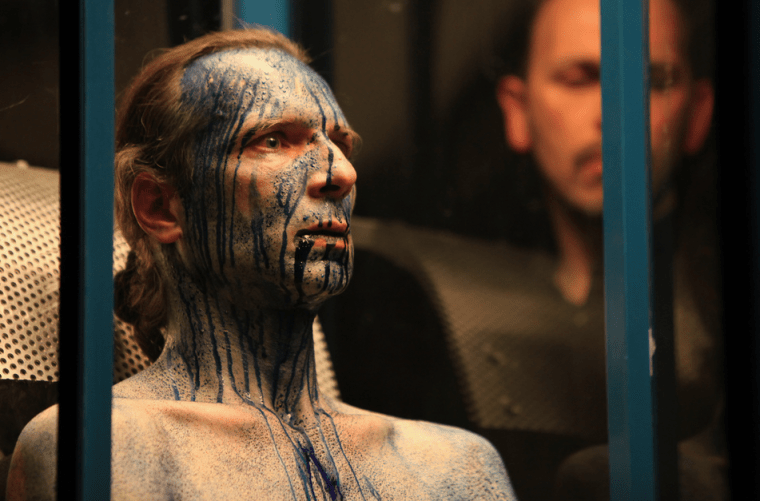 While searching for a kind of a universal human being, he takes the essence of Bleu Provisoire's concept, mixes and transforms the senses and uncovers the secret existing reality, which exists in everyone of us, even better.